Russia may not have repeated their market-flooding wheat yields of 2017 this growing season, but that doesn’t rule them out as a long-term concern for U.S. wheat producers. Ken Morgan, Thresher Artisan Wheat grain merchandiser, believes the value-added markets his company creates will help buffer local farmers from the glut of foreign commodity wheat. Preserving profits. Thresher contracts with Idaho growers to grow specific identity-preserved wheat varieties. 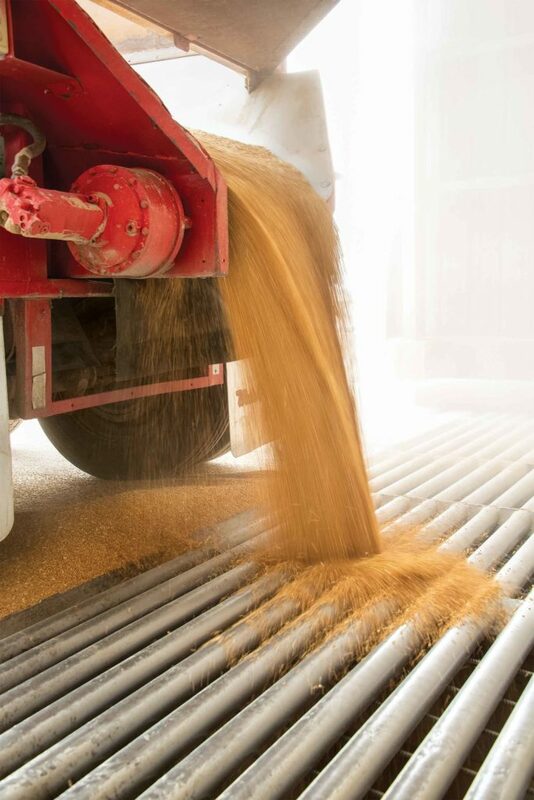 The wheat is then conditioned in their food-grade facility at Blackfoot, Idaho, and delivered to customers including brewers and big-box cereal companies. Contracted wheat undergoes multiple processes as it moves through the 4-floor facility: it’s cleaned of heavy and light debris, x-rayed for contaminates, color sorted, and sized. “Especially for puffed grain cereals, consistent size and correct color is critical,” Morgan says. The wheat is then tempered to facilitate milling and shipped to customer plants with several steps in the production process already complete. A critical function of Thresher is intermediary. Wheat varieties are constantly changing but buyers often don’t want to modify equipment or recipes. “We work with the end customer to figure out what varieties work well. Sometimes they want a variety farmers don’t want to grow because of a disease issue,” Morgan says. Farmers are offered higher premiums while Thresher works with the customer to identify a variety that will perform well for everyone. Premiums paid for identity preserved grain and high-demand varieties are a welcome boon for Wada Farms, especially when commodity wheat prices are depressed. Shilo Murdoch manages the Morgan’s Pasture division of Wada farm, overseeing 8,000 of the farm’s 28,000 crop acres. The effort is minimal. Murdoch plants certified seed and ensures it stays separate from commodity wheat at harvest. Premiums vary, but in 2018 it was $0.30 per bushel more for identity preserved wheat. Premiums help, but Wada Farms is looking at crops beyond wheat and potatoes, like quinoa. High-value crops help offset high expenses. All acres are irrigated, with water being pumped from 400-foot-deep wells. “Our power bills are pretty big,” Murdoch says. Thresher is well aware of the need, and is working to develop demand for current and emerging crops. Recently they started contracting for and conditioning hull-less barley destined for human consumption in Asian markets where demand is steadily rising. "This issue has been on the nation's to-do list...and there's now a great opportunity to get it done." Czech aquaculture co-op continues Yuletide tradition.